Sandhills is aware of the difficulties in finding that right person to care for your pet while you are away for a day or an extended period of time. 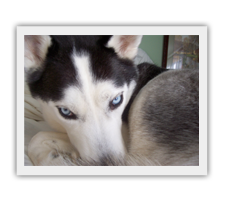 We offer dog walking and pet sitting services to give you peace of mind in your absence. You have the added confidence and reassurance knowing that your pet is being cared for by a professional and responsible person. Many situations present a challenge for pet owners when it comes to finding a responsible and caring person to take care of their pets when they are away. It can be a daily need when away for long hours because of work to the occasional family event or for a lengthy business trip or vacation. It has been proven over and over again that the best place for a pet is in the comfort of their own home. Remaining in the comfort of their own home helps to lessen or even eliminate the stress that many pets experience when placed in unfamiliar surroundings. Their stress is also reduced by maintaining their schedule for eating, exercise, and sleeping. Our Pet Sitting services range from daily visits and walks throughout the day to sleeping over in your home. You can also combine these services over the time that you are away. If you feel that more time is necessary, we are more than happy to accomodate you for an additional fee. Includes walk and/or playtime, fresh water, and treats (Prices based on two dogs). 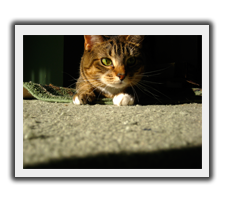 Includes cleaning cat box, fresh food and water and play time $14.00. Same duties as described above. Extra charge for additional pets/duties $20. In addition to the care of your pets, we will bring in your newspaper and mail; water your plants; turn on and off lights; open and close shades; etc. **If extra time is required for the care of your pets, all fees will be discussed beforehand and adjusted accordingly. Christmas, New Years’ Day, Thanksgiving, Mothers’ Day, and July 4th require an additional $10 fee per visit.